It is used to print various statutory information like B.No., Dt of Mfg., Expiry date, prices & any other information’s on various packing like tins, containers, cartons, lids, stickers, laminated flexible pouches & films, metal containers etc. Sparsh is a small compact intermittent motion reciprocating contact coder with Ink Cartridge enclosed in sealed container to give a constant amount of PIC Fast Drying Coding Ink. It is specially used for high speed coding application viz. Self Sticker labeling & Multi – track packing lines, FFS, Blister pack, Strip Pack Machine. Its compact design makes easy to install where space is limited, can be mounted in any angle vertical, horizontal or side mounting. 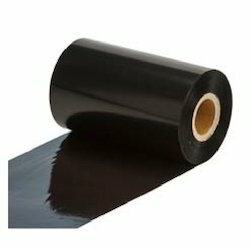 Due to separate sealed ink cartridge, it avoids film contamination & keeps area of printing clean. It’s a versatile controller which consist in-built cyclic timer & five different input modules to achieve or optimize printing at speeds up to 180-200 impressions per minute with easy operation. Also runs through external inputs. 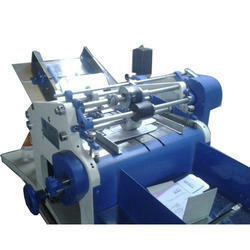 The Batch Printer Machine/ MRP Printing Machine offered by us are basically code printing machines. These are primarily used for off line and on line stamping of variable data. The range is manufactured using high quality raw material and advance techniques. Further, these printers are properly checked on varied parameters thus enable us in offering a range free from any sort of defects. We are providing our clients an excellent quality gamut of Coding Machine. Our offered coding machine is treasured among customers owing to its perfect finish. This coding machine is manufactured by using top grade material and modern techniques, under the guidance of our experts. Also, our coding machine is inspected on numerous parameters to make certain its flawlessness from our side. We are highly engaged in offering a premium quality range of Batch Printer that is widely used for various purposes in different industries. This is manufactured under the guidance of skilled professionals using the best grade components as per the set industry norms. To ensure quality, it is tested on various parameters with the help of latest tools technology. Ink Roller: "Specially designed cylindrical roller-rechargeable, easy to clean. Contains approx 20 ml of ink giving approx 4000 to 5000 impressions"
Looking for Touch Batch Printer Machine ?